ANDRE HEURTAUX was born in Paris (France) 1898. He died in 1983. Heurtaux originally worked in other fields and did not start to paint at a very early age. His first sketches -of Parisian bridges -were done in 1921. His first cubist-inspired works were painted in 1922 and in 1930 the first substantially abstract paintings. His first contact with constructivism took place in 1933. He was thus one of the few artists to come to visual research from painting and with the intention of painting: in the so-called abstractionism he saw above all the possibility of an absolute freedom of poetic expression, and for this reason, even though his work appeared in many exhibitions from 1925 to 1927 at the Salon des Independents in Paris and from 1931 onwards at the Salon des Surindependents -he remained relatively unknown. In 1934 his application to join the Abstraction-Creation group was rejected by Georges Vantongerloo, but in 1937 Herbin admitted him with the function of secretary. He paid visits to Mondrian and, in 1936, left his job to dedicate himself to painting, while earning his living by supplying, under the pseudonym of Arto, humoristic drawings to a number of newspaper. From 1940 until 1963 he was registered as unemployed and lived on a state unemployment subsidy. 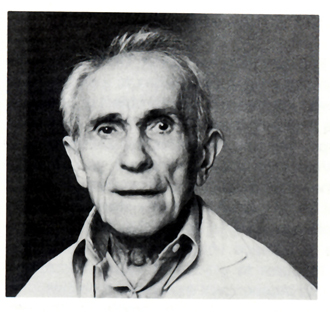 In 1955 his work was included in the exhibition of "L'Art Abstrait, les premieres generations" at the Musee de Saint-Etienne. In 1960 he sold a painting for the first time, to Charchoune, another artist, and in 1963 Denise Rene began to take an interest in his work, including it in exhibitions she organized in France and in Germany, among them: "Esquisse d'un salon," "De Mondrian au Cinetisme," "ExpositionPosition" in Paris, and in the "Masters of Early Constructive Abstract Art" exhibition at her New York gallery in 1971. She gave him an individual exhibition in 1972 in Paris and in 1981 some of his works were included in the significant "Paris-Paris" exhibition at the Center Pompidou. Heurtaux did not produce many paintings, all of them the fruit of lengthy meditation and of great stylistic purity. The origin of all his work is a visual emotion which is then controlled and filtered to produce the maximum harmony with the maximum asymmetry. 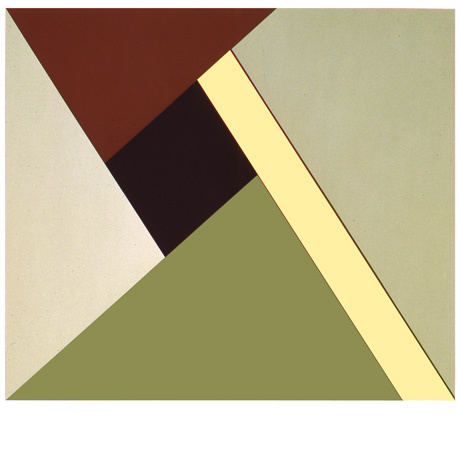 Diagonal connections are frequent in his "Compositions" as being the ones that serve best for the re-equilibrium in terms of color of an initial situation of maximum asymmetry.